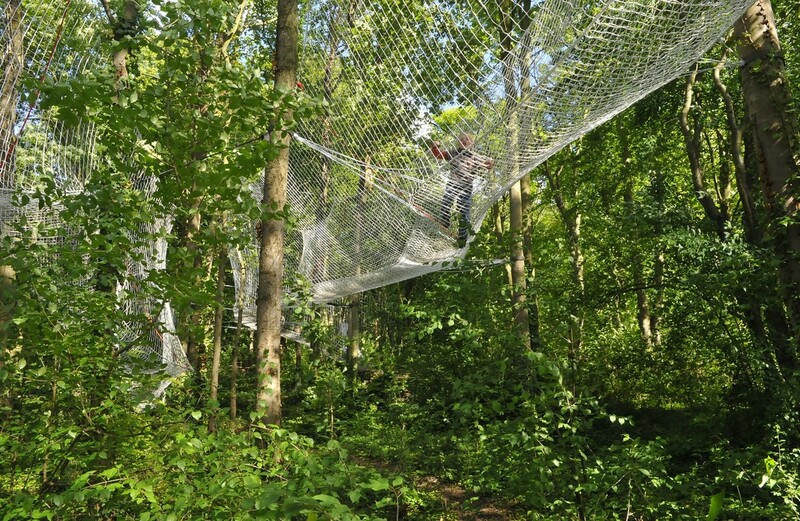 Are you game for a ride on the 230m long zip line? 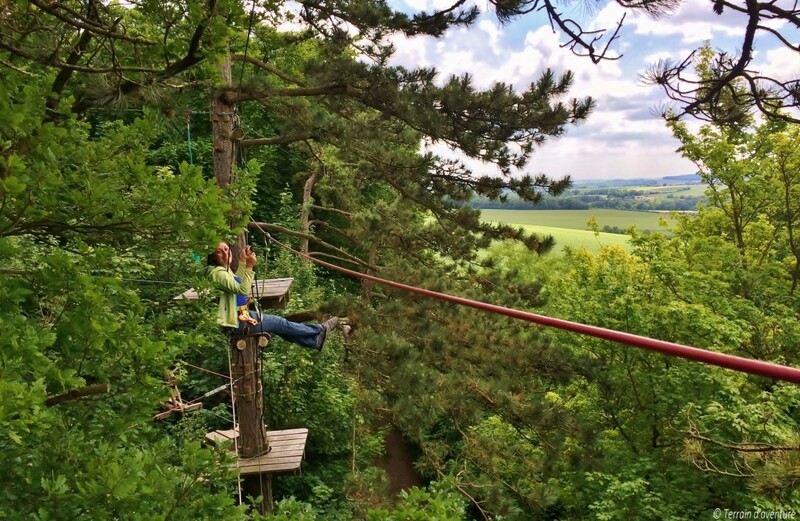 On with the safety harness and climb trees up to 15m tall! With 4 circuits and different levels of difficulty, there's something for everyone, nervous beginners to confirmed tree toppers. 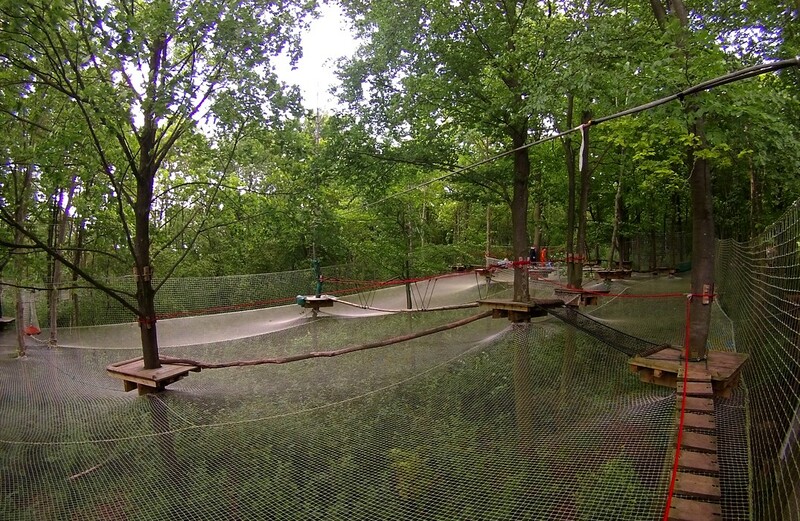 Try surfing 12m above the ground, practice acrobatics on swings or leap into space on a zip line! 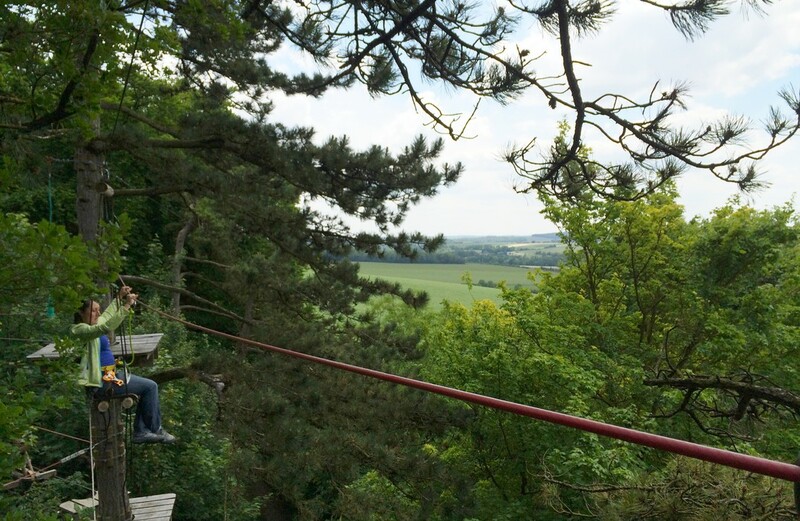 Our watchwords at Terrain d'Aventure are visitor safety and respect for trees and nature! Your adventure awaits! An adventure playground with activities for all the family. 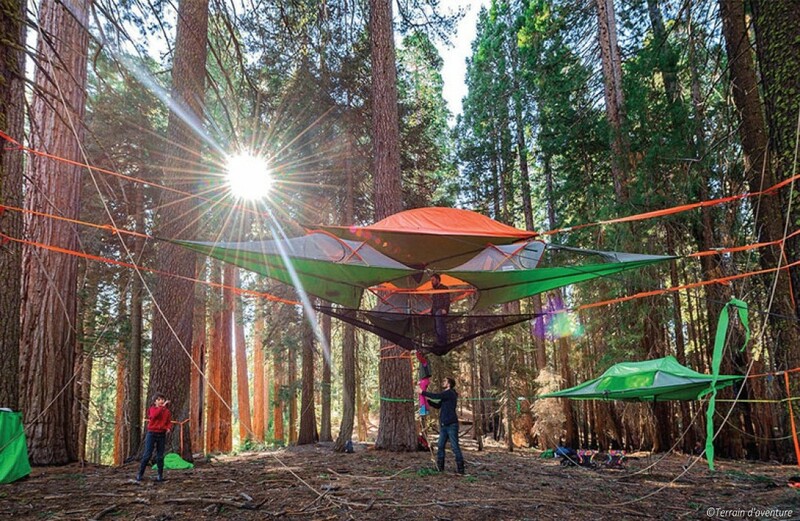 Thanks to safety nets, children as young as 3 can play at being tightrope walkers in the trees. 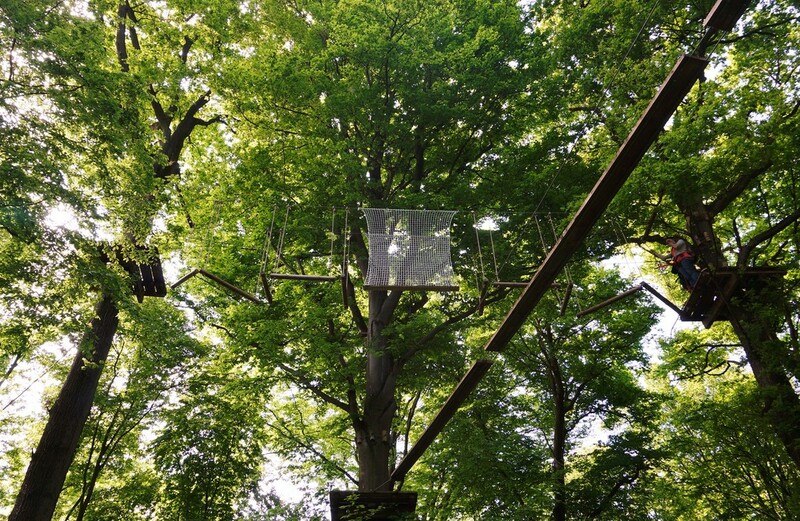 Bigger children and adults have the choice of 5 different circuits through the trees (zip lines, monkey bridges, etc.). In all, over 3 hours of fun!